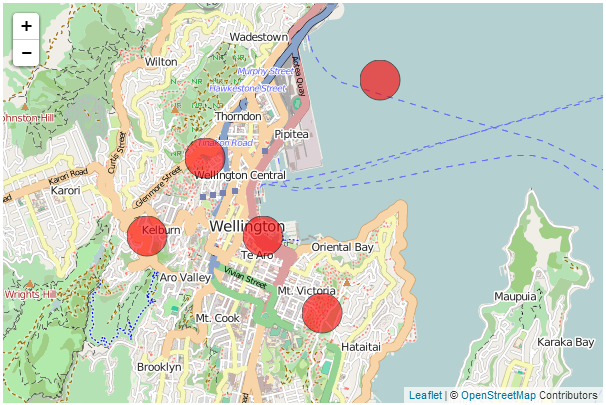 The next example of a combination of d3.js and leaflet.js is one where we want to have an element overlaid on our map at a specific location, but have it remain a specific size over the map. For example, here we will display 5 circles which are centred at specific geographic locations. When we zoom out of the map, those circles remain over the geographic location, but the same size on the screen. You may (justifiably) ask yourself why we would want to do this with d3.js when Leaflet could do the same job with a marker? 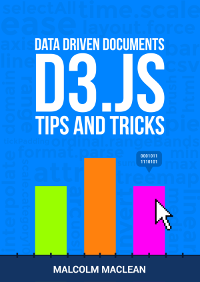 The answer is that as cool as leaflet.js’s markers are, d3 elements have a wider range of features that make their use advantageous in some situations. For instance if you want to animate or rotate the icons or dynamically adjust some of their attributes, d3.js would have a greater scope for adjustments. While I will explain the code below, as with the previous example (which is similar, but different) please be aware that I will gloss over some of the simpler sections that are covered in other sections of either books and will instead focus on the portions that are important to understand the combination of d3 and leaflet. Our code begins by setting up the html document in a fairly standard way. Here we’re getting some css styling and loading our leaflet.js / d3.js libraries. 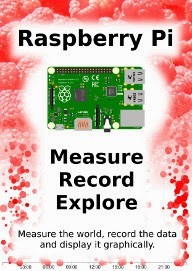 The only configuration item is where we set up the size of the map (in the <div> section and as part of the map div). This is exactly the same as we have done in any of the simple map explanations in Leaflet Tips and Tricks and in this case we are using the OpenStreetMap tiles. 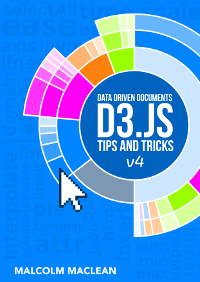 Then we start on the d3.js part of the code. 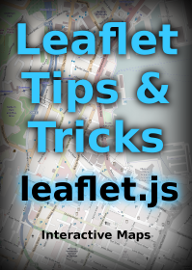 Firstly the Leaflet map is initiated as SVG using map._initPathRoot(). Then we select the svg layer and append a g element to give a common reference point g = svg.append("g"). 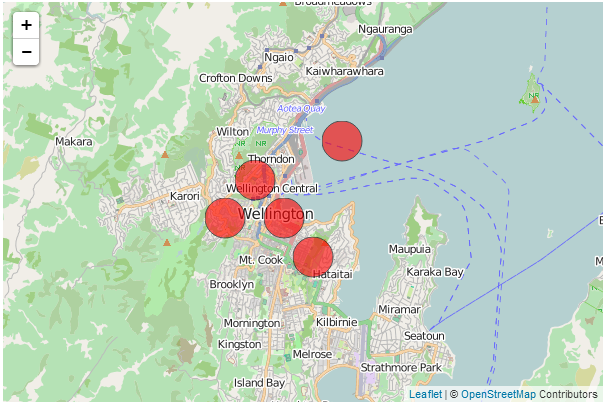 Then we use a simple d3.js routine to add and place our circles based on the coordinates of each of ourobjects. We declare each as a feature and add a bit of styling just to make them stand out. Here we are using the transform function on each feature to adjust the coordinates on our LatLngcoordinates. We only need to adjust our coordinates since the size, shape, rotation and any other attribute or style is dictated by the objects themselves. On inspection I am able to point circles. But they are not visible. I tried changing the z-index but it doesn't help. Interesting. Compare your code with the example here http://blockbuilder.org/d3noob/9267535 and see where the difference lies.